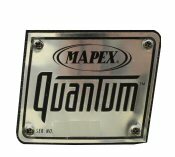 Quantum Snares are available in two sizes: 14x12" XT and 14"x10" Agility. 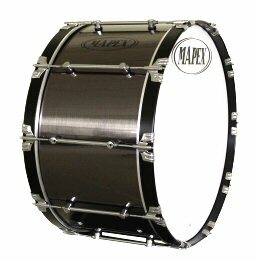 14"x12" HT Low/Medium Tension Snares are not compatible. If your drum did not come from the factory with one of the two emblem combinations above, it is not compatible. Quantum Tenors come in several configurations and variations. 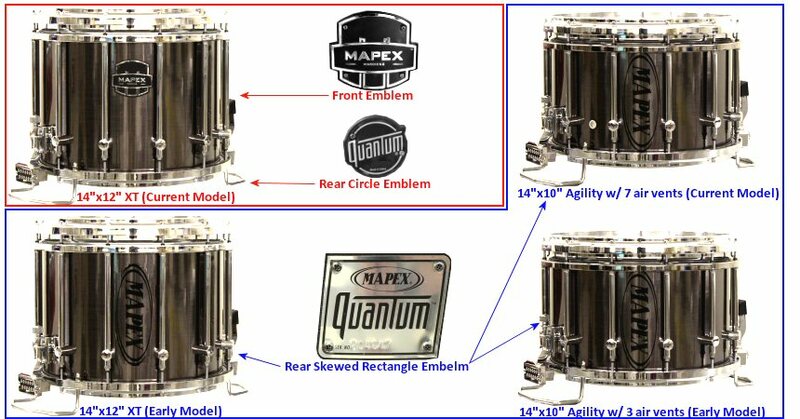 Quantum tenors have the same skewed rectangle badges as the early model XT and Agility Snare Drums and are located on the rear of the shells. Quantum Tenors come in two main variations: Standard and Agility. 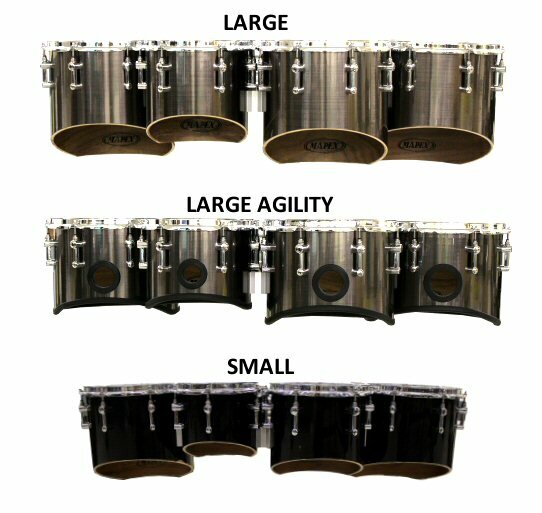 Quantum Agility Tenors differ from the Standard variation by having a different angled shell cut, shorter shell depths, and large port holes located on the front of the main quad toms. Please view our reference images to make sure your equipment is compatible. 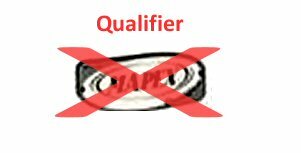 If your drum did not come from the factory with the emblem above, it is not compatible. Quantum Bass Drums are available in ten different sizes: 14", 16", 18", 20", 22", 24", 26", 28", 30", and 32". The 14"-28" drums are 14" wide while the 30" and 32" drums are 16" wide. 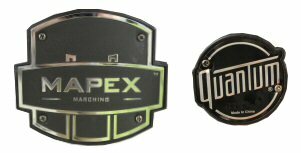 Like the Quantum Snares and Tenors, the Bass drums also have the pewter skewed rectangle badge.